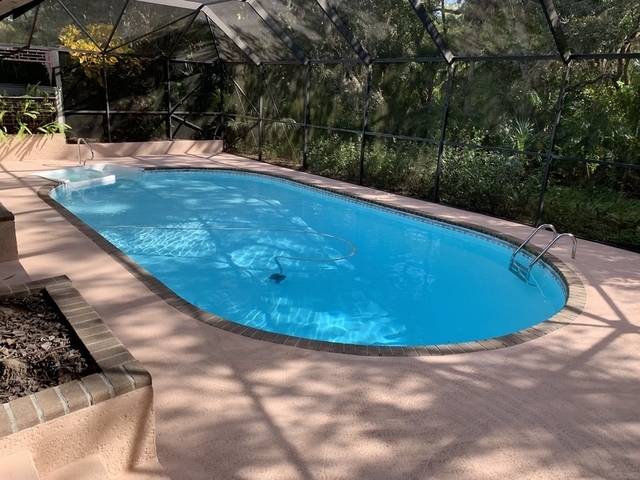 4BR/3BA Pool Home with 2 car Garage plus a 600± SF Detached Building. 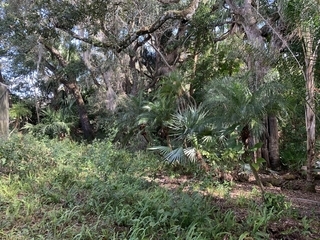 On 1/2 acre lot with beautiful tropical landscape and secluded backyard that backs up to Roebuck Creek. Updated Hurricane windows. 4BR/3BA (2,166SF) Pool Home with 2 car Garage plus a 600± SF Detached Building. 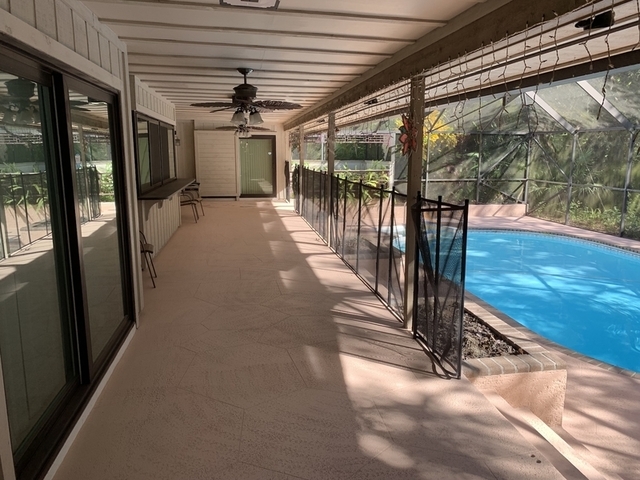 In addition to being a very nice home, there is a beautiful lanai- screen enclosed pool combo in a tropical like setting with lots of outdoor entertaining area. On 1/2 acre lot with beautiful tropical landscape and secluded backyard that backs up to Roebuck Creek. Within the past few years, MAJOR UPGRADE! Approx. $70,000. was spent to have hurricane windows installed throughout the home. Real Estate Terms & Conditions: To register to bid, you must present a Cashier's Check, Certified Check or Cash in the amount of $2,500, made payable to Paul Newell, Attorney, Escrow Account. Winning Bidder must provide the balance of 10% as a Binder Deposit by check immediately after being announced the winning bidder, with the balance due on or before Friday, April 12th 2019. Not subject to financing. 10% Buyer's Premium. Insurable title to the property is guaranteed. Should you not be the successful bidder, your check will be promptly returned to you.